​Graveyard Shift - Item Get! Some of you may know, but I'm a pretty big Persona fan. I wouldn't say I'm the biggest Persona fan or anything, since I haven't even played the first two games, but it's definitely one of my favorite series. Actually, the game that got me into the entire series was Persona 3 Portable. I think it's a fantastic game, even without the character movement like the original had, and actually prefer it to Persona 4: Golden in some respects. 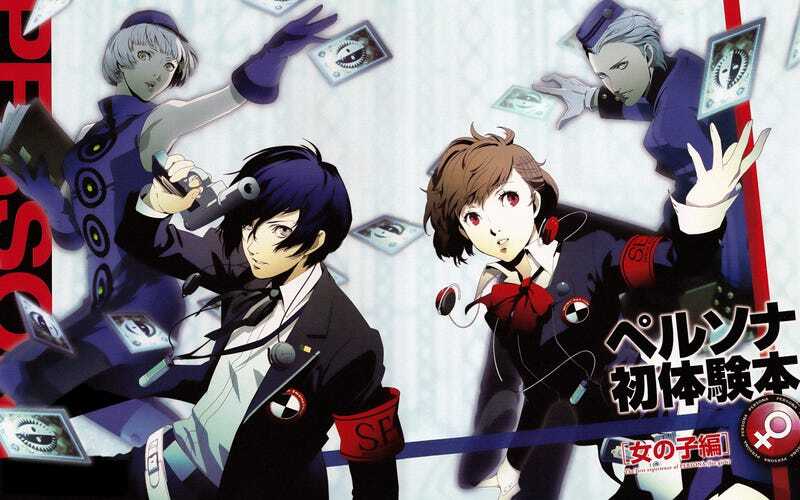 Throughout my playthrough, there was always one thing that I couldn't take my eyes off of the entire time I played Persona 3: Those earphones. They're nice, slim, stylish, and honestly, just looked pretty swish overall. Since I love Persona 3 to death, I just knew that I had to have them. I did a lot of looking around and I almost immediately had a problem: they were way out of outside of my price range. From what I've been told, they're based off of some Audio Technica earphones. Now, to be fair, Audio Technica makes really nice stuff. However, they stopped making the earphones and they quickly turned into a collector's item. In fact, the pair I wanted runs up to about ~$150 USD. Since I actually wanted to use them because I thought they looked fantastic, that was never going to happen. Luckily, this Black Friday, I was looking through Amazon for Christmas presents for the family. Now, usually I pay no mind to the recommended section, but this year, since I was trying to find cheap but good alternative items to things I wanted to buy the family, I was keeping an eye on it. As luck would have it, it reminded me that I was looking at Audio Technica earphones and showed me some alternatives to them. There were new earphones in the same style! In fact, they came out fairly recently and they're actually on the cheap side, especially considering they're imported. I ordered them last Friday and they came in Tuesday afternoon. I already adore them. They sound fantastic, feel incredibly comfortable, and had all the same visual traits I wanted from the older pair. Admittedly, I'm pretty biased on how good they are because of my screaming inner Persona fan, but still. Anyways, are there any nice gaming-themed items you've grabbed recently, TAY? Or maybe just something you've thought about getting for a while and finally managed to get it? Let us know! Did the topic not interest you? Well then, feel free to use this to talk about your day, share some interesting news, or whatever else you desire! The Wednesday Graveyard Shift is now open!